Founded in San Francisco in 1980, Gast Architects is a service-oriented practice specializing in custom residential homes and renovations, including both contemporary solutions and the sensitive restoration and adaptation of historic properties. We offer comprehensive architectural services and take pride in the close working relationships we develop with our clients in responding to their needs, taste, budget and schedule, while maintaining architectural design excellence. Sustainable design strategies are integral to the design process, and several on our team are experienced LEED Accredited Professionals. Our projects range in scope from the development of large country properties and inner city whole house renovations to more modest additions to and remodeling of existing housing in styles from warm modern to traditional. We enjoy, and are skilled at, working with the limitations and opportunities inherent in renovating or adding to existing structures. Our long-term relationships with contractors, craftspeople and consultants strengthen the trust and effective team communication necessary for producing superior results. Having practiced in the Bay Area for decades, we know the local Planning and Building agencies and their staffs, and how to work with them to secure code interpretations before problems arise. We have represented our clients successfully before commissions, design review panels and appeal boards, and are adept at moving our projects through the approvals maze. Gast Architects is licensed in California and Hawaii. We are honored to participate in the San Francisco Green Business program. Corey, a native Virginian and graduate of the architecture program at Virginia Tech, moved to San Francisco to pursue his passion for contemporary residential design. With a background in running small businesses, he enjoys working closely with clients to achieve thoughtful and poetic designs. Corey lives in North Beach with his wife India and a growing collection of mid-century modern furniture. Dennis is a well-rounded designer and project architect at Gast Architects who holds Architecture and English degrees from Tulane. Before even having his New Jersey driver’s license, he worked summers learning the ropes of various construction trades, and subsequently as a building contractor prior to practice as an architect. He built a family house, a childhood dream and personal laboratory of contemporary expression, here in San Francisco. Peter is inspired and influenced by the transformation of natural materials through thoughtful detailing and building technology processes. In addition to his role as a designer, Peter leads our team in ArchiCAD education and development. He is actively involved in the design and construction of parklets throughout San Francisco. Matthew was born and raised in Minnesota, where he started his career in finance before finding his true calling in architecture. While pursuing his M.Arch degree with a focus on sustainable design from the University of Oregon, he fell in love with the beauty and lifestyle of the west coast. He is passionate about modern design and shaping highly functional and intuitive spaces that have a positive emotional impact. In his free time, Matthew enjoys hiking nearby trails, visiting farmer's markets, baking bread, making pottery, and spending time with his daughter. David came out to California from the East Coast to attend Stanford, moved to San Francisco after graduation, and has been trying to achieve native status ever since. After several years of experience working at the Community Design Center and local architectural firms, four years as a carpenter and general contractor, and an apprenticeship to a furniture maker, David launched Gast Architects in 1980. When not engaged in the firm’s work, David enjoys spending time with his partner, Elena, and his three grown children, kayaking, hiking and exploring the City. Inspired by the work of Eliel Saarinen at Cranbrook in Michigan, Eric studied architecture at U of M – Ann Arbor and Rice University. After ten years of public and academic library planning and design in Michigan, he changed gears, moved to Alameda, and joined Gast Architects as Director of Operations. Eric’s focus on firm management, marketing, finances, and human resources is unusual for an architect, but just right for him. He enjoys meditating, car repair, singing, and keyboard practice. Lee thoroughly enjoys her role as Office Manager supporting both our clients and our team in an ongoing effort to keep the office and its projects running smoothly. In her free time she enjoys volunteer work, gardening, and traveling with her family. Born in Singapore, raised in the Caribbean, and educated in Miami and then London, Wilhelm has now settled in San Francisco, a city he adores. He brings to Gast Architects several years of Bay Area residential experience and his passion for custom home design. Wilhelm loves capturing a sense of place through the use of architectural details, and deeply appreciates seeing fine craftsmanship in action during construction. When not in the office, he can either be found in a very thick wetsuit out in the ocean, or quietly tide-pooling with his wife and kids up and down the coast. John has followed his passion for architectural design, fine detailing, technology, project management and pleasing clients for almost 40 years. Early on, he worked for several prominent architects and had his own San Francisco office for more than a decade. 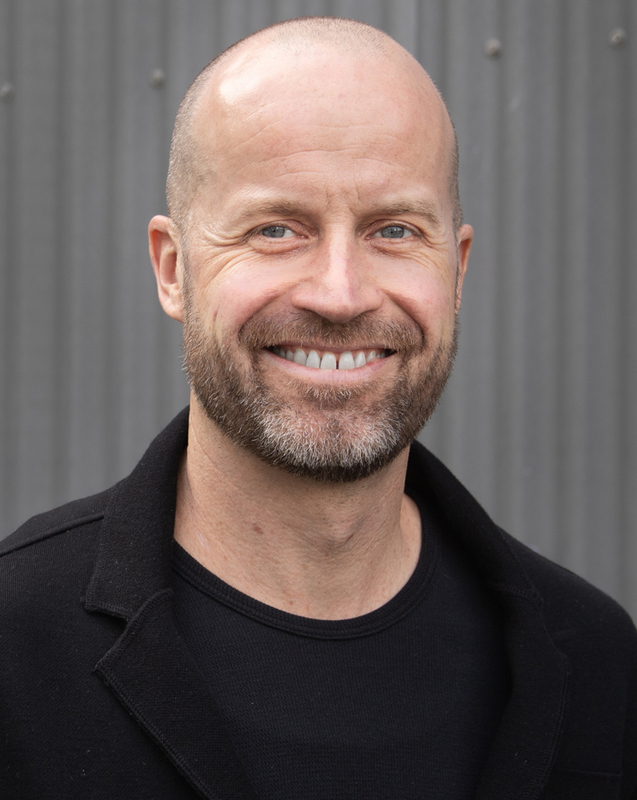 He joined Gast Architects in 1996 and serves as Principal, mentor, and technical backstop while subjecting colleagues to his special form of dry humor and quiet enthusiasm. He is an avid black and white large format photographer, backpacker, traveler and researcher with a keen interest in the architecture and culture of ancient civilizations. He lives with his wife Ronnie in their Edwardian home on the slopes of Bernal Heights in San Francisco. A San Francisco native, Madonna holds an Architecture degree from Cal Poly Pomona. She’s worked at Architecture firms in Copenhagen, Los Angeles, and San Francisco. She spent a year studying Scandinavian design, furniture making, and adaptive reuse across Europe. Inspired by the intersection between architecture and technology, Madonna explores ways in which virtual, augmented, and mixed reality can manipulate the built environment. In her spare time, she can be found studying for the ARE’s or daydreaming about space exploration. Matt joined the Gast senior design team in 2018. He has lived in all 4 corners of the US, first growing up in Miami and then getting an architecture degree from Cornell. The grunge years were spent managing construction in Seattle, followed by design/build in Montana, and design in New York. In SF since 1999, Matt has been designing and, more importantly, getting custom modern residential projects built as the right-hand man in a well regarded SF firm. He brings 28 years of design and project management expertise to our team. He lives in Mill Valley raising 3 kids with his professional photographer/painter wife. Matt loves hiking and camping while his kids would say they do not.